6-volt incandescent flashlights and WeaponLights with a 1.25" bezel. My must have this tool; I use my flashlight all the time!!! Whether I'm entering a crawl space, or inspecting for leaks it's always at my side. I purchased the G2 at FOB Falcon, Iraq, December 2007. It is now 2014, and two deployments later and numerous training exercises and the G2 hasn't failed me yet. And as a grunt, I take this flash light everywhere and anywhere. I have only changed the bulb once in seven years (from constant use). At home, at the unit or overseas, this flash light hasn't let me down. 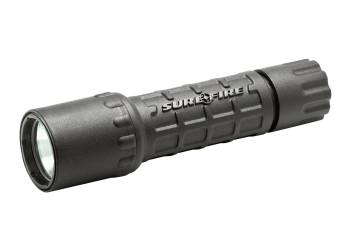 Thanks SureFire for building something so simple that was made to last. Have one of these in black for the bedroom and like it very much. Bought another in yellow for my wife when she travels. She now has a compact, easy to use and reliable light when she needs it for her travels. 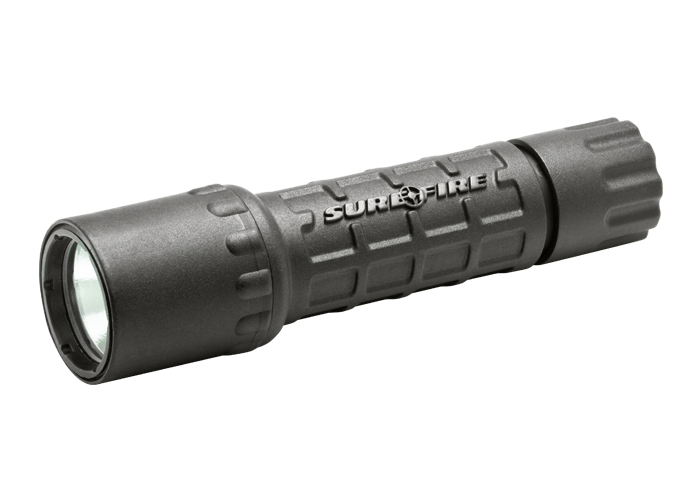 In addition we have surefire flashlights in our vehicles and around the house. I have given g-2's for gifts for many years, often with a box of batteries. Everyone loves them! I too recently found one of these on the side of the road, during the day. The light was on and it was so bright that it caught my eye while driving by in the country. It was beat up, the metal case around the lens was bent in but the lens was not broken. Amazing light! I know what I'm giving my buddies for Christmas. i bought for my daughter. complete with a box of batteries. she likes it very much. i use mine every night while walking the dog..small enough to not be clumsy but mighty enough to do a great job. I used this flashlight and it works great . This flashlight is easy to operate and lightweight. The lamp area needs some channeling design to keep from rolling off a flat non level surface. This small size, light weight, powerful beam, non-metallic case, and lithium battery powered light has been my first choice in handheld lighting for the last decade plus. The Nitrolon G2 has beaten out my long favored Maglights hands down for 99% of my handheld illumination needs. Their freezing temperature performance and durability have been outstanding. I now own four of them. They can be left in a vehicle trunk or gear bag in ANY weather and instantly perform at a moments notice. I wish Surefire would produce a single battery Nitrolon for outdoor recreational use where weight consideration is critical, i.e; backpacking and canoe portaging trips. Thanx for a great product!! The G2® is a high-output flashlight featuring a tough, corrosion-proof Nitrolon® body and bezel. It uses a precision micro-textured reflector and a SureFire incandescent lamp to produce a smooth, brilliant beam with enough power to temporarily blind and disorient an aggressor by impairing his night-adapted vision. Output is either 65 or 120 lumens, depending on which easy-to-install lamp you usehigh-output or ultra high-output. The tactically-correct pushbutton tailcap switch provides secure, ergonomic activation control: press for momentary-on, twist for constant-on. © 2013 SureFire, LLC. All rights reserved.